Located in the foothills of the Sierras. Mettle and Wood Furniture Company is the place for all your custom furniture needs. It all began in 2013 in the dog kennel under my parents deck. I had some spare time and turned some pieces of scrap wood into a coffee table. Then some family members asked for some night stands, soon the local newspaper did an article on me repurposing pallets into furniture. I fell in love with woodworking and never looked back. Over the years I have invested in tools and improving every aspect of my craft. 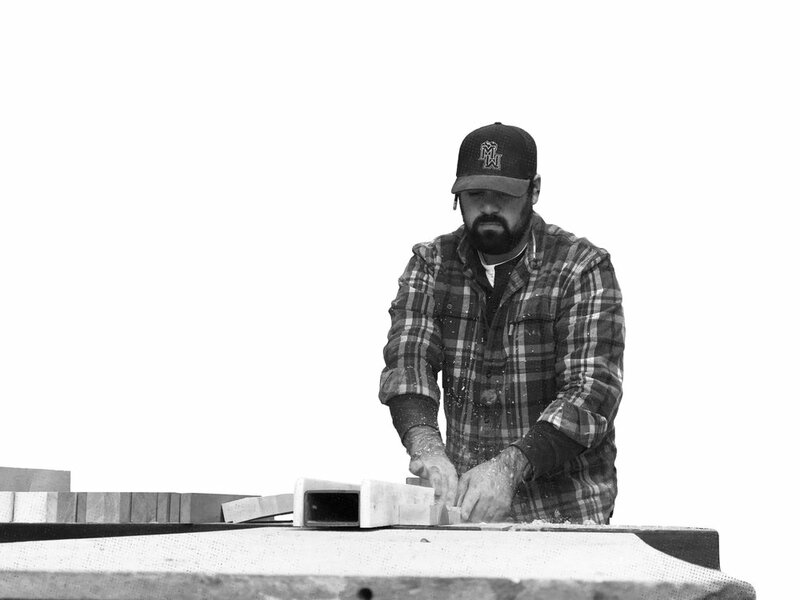 Now, every piece is built with locally milled lumber and hand built in my shop. I am a one man shop and take my time on every project to create a quality piece of furniture. I love designing and creating unique pieces and collaborating with customer ideas. Feel free to message me with any questions or come on by! The Union Democrat wrote and article on me repurposing pallets into furniture. After living in San Diego for a couple years, I moved home and began doing odd jobs to make money until I figured out what I wanted to do. I came across a couple DIY pallet projects on facebook and started collecting pallets from around town and taking them apart to make furniture. After receiving a few orders for night stands and coffee tables, I came up with my first business name, “Pallets by Bobby.” I threw my info on a card and began passing them out. Surely the terrible design would draw them in, haha. I decided I wanted to make a coffee table and took some scraps from around the yard and threw one together. Years later it is still in my best friends living room, they refuse to let me make them a new one. This was the first piece of furniture I made. Somehow these little pallet tables are still standing, barely, but they are still in use. My first table order came in and I charged a wopping $300 for it. I was so excited to get my first dining table order, until I realized I had to learn how to build a dining table. Happy to say I abandoned this design and construction years ago. I was happy to team up with The Mason Bar Company and make them pallet organizers that were shipped to Whole Foods Market locations all over the state. And coffee shops in and out of state. This is when I thought I had something going. This high top dining set gave me new meaning to the phrase “trial and error.” As I had to rebuild it many times until I scratched the terrible design and started fresh. Over the years I invested all of my time into improving my craft to create beautiful quality pieces.